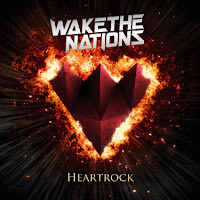 RockUnitedReviews: WAKE THE NATIONS: "Heartrock"
Wake The Nations initially started out as a solo vehicle for guitarist/songwriter Risto Tuominen. 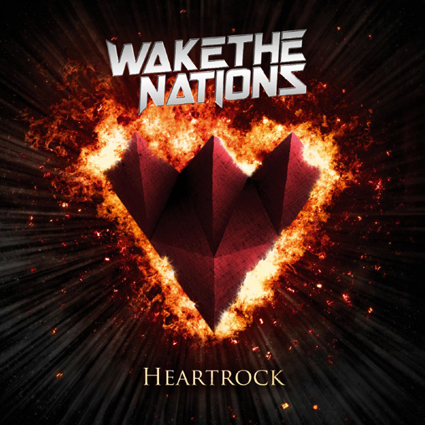 The first album, "Sign Of Heart" (2015) was more of a project than an actual band album, with several lead vocalists. However, it didn't take too long for the band to find its' current line-up. Krister Stenblom, one of the singers on the first album, took over the lead vocal duties and the band started gigging. At a festival in Turku they played before Sunrise Avenue, and made a lot of new friends there. A group of german fans fell for their melodies big time, eventually helping the band to do a tour in Germany. What's more, now the band's signed to the German AOR Heaven label. The first album showed promise, and on "Heartrock" the band really deliver. With world-class production by Ilkka Wirtanen (Reckless Love, The Nights, Robin) and final touches by Erik Mårtensson (Eclipse, W.E.T. ), fine performances by the band and top-notch songs, this album should make a considerable splash in the AOR genre. Most of the songs are high-energy melodic hard rock songs with big hooks. The overall sound could be described as modernized scandi-AOR with a bit of an edge. Lots of lush keyboards but also crunching guitars and big drums. My favourite songs include the strong opener "No Mercy" which reminds me of cult AORsters Valentine, the light and breezy "New Day", the intense "Higher" and the two songs provided by Sören Kronqvist, "Midnight Lovers" and "Something In Your Eyes". Although from an outside songwriter, they fit in seamlessly. I also want to mention the closing track "This Is Over", which sounds like a nod to the fans they share with Sunrise Avenue - it has that kind of a contemporary stadium-ballad vibe. It's nice to start this year's reviews with a strong album, that sets the bar high for the other releases of 2019!